Franke shared an update concerning the weather, but said the move-in date of Jan. 2, 2019 is still expected. More updates of the building are shown on the Miami Trace Local Schools Facebook page as well as on their website. Bill Franke, Miami Trace Local Schools Business Manager, spoke about the progress on the new high school coming to the district during the Monday meeting of the school board of education. 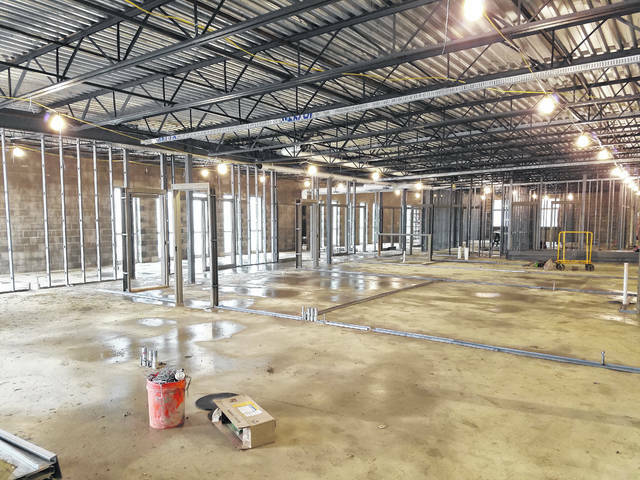 Miami Trace Local Schools Business Manager Bill Franke discussed the high school building project Monday that continues to progress despite less-than-desirable weather. Franke said after the board meeting that as long as the weather has a chance to continue to get better, the crews will have to accelerate their progress. He said the contractors will work with the crews to speed them up and the district may see some weekend work, depending on what is decided. Franke was certain there will be no change in the move-in date. In other news, the board approved 16 items as part of the consent agenda during the Monday meeting. Items unanimously approved included: two foreign exchange students to come to Miami Trace High School for the 2018-19 school year, one student from Miami Trace to travel to Belgium to be an exchange student for the 2018-19 school year, a field trip request for the high school science club to travel to Kings Island, six musical volunteers, a renewal to continue participation in the 2019 Ohio SchoolComp program, the 2019-2020 school calendar, seven camps for various sports, high school prom ticket pricing and more. The board approved the consent agenda and moved on to the regular agenda. Debbie Black, Miami Trace Local Schools treasurer, gave a financial report which included information on the high school building funds, the MITRA yearbook funds, the high school musical funds and more. The financial report was unanimously approved by the board before listening to administrative reports. After Franke spoke, assistant superintendent Kim Pittser briefly spoke about upcoming testing and preparation week before superintendent David Lewis addressed the board. Lewis talked about information he gave to the board on Great Oaks before they go to the ballot this May, an upcoming Exceptional Achievement Awards recognition ceremony and various meetings coming up in the next two weeks. There were no board reports this meeting. The next meeting will be held April 23 at 5:30 p.m. at the Miami Trace Board Office. https://www.recordherald.com/wp-content/uploads/sites/27/2018/04/web1_20180328_100321.jpgFranke shared an update concerning the weather, but said the move-in date of Jan. 2, 2019 is still expected. 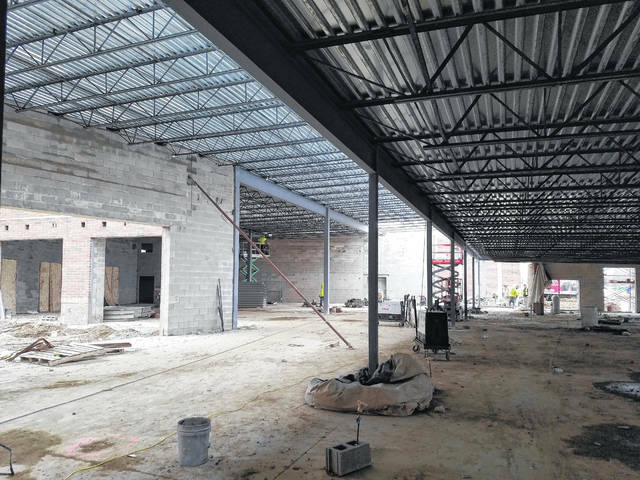 https://www.recordherald.com/wp-content/uploads/sites/27/2018/04/web1_20180328_102534.jpgMore updates of the building are shown on the Miami Trace Local Schools Facebook page as well as on their website. 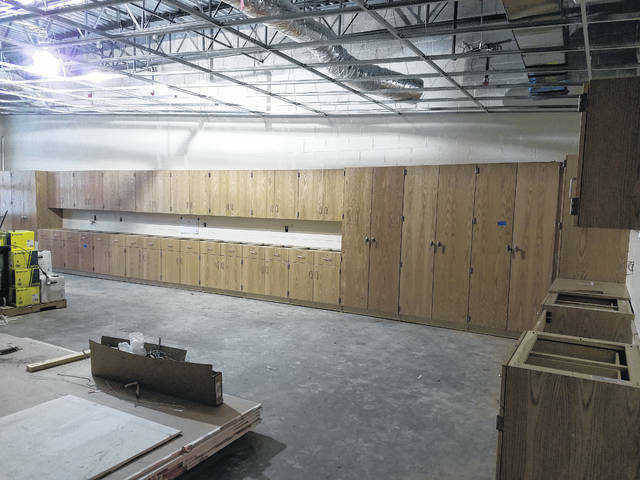 https://www.recordherald.com/wp-content/uploads/sites/27/2018/04/web1_20180201_092313.jpgBill Franke, Miami Trace Local Schools Business Manager, spoke about the progress on the new high school coming to the district during the Monday meeting of the school board of education.